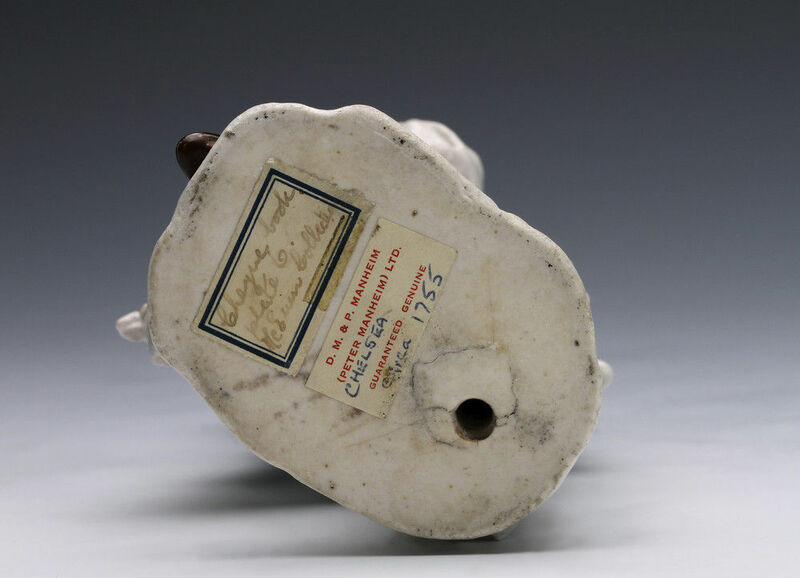 Josef Willems of Tournai was chief modeller at the Chelsea factory from around 1749. He was one of a number of influential Flemish sculptors working in England during the 18th century. He is known for a small number of terracotta models of the late 1730s and 1740s and was the creator of the Chelsea ‘factory style’. 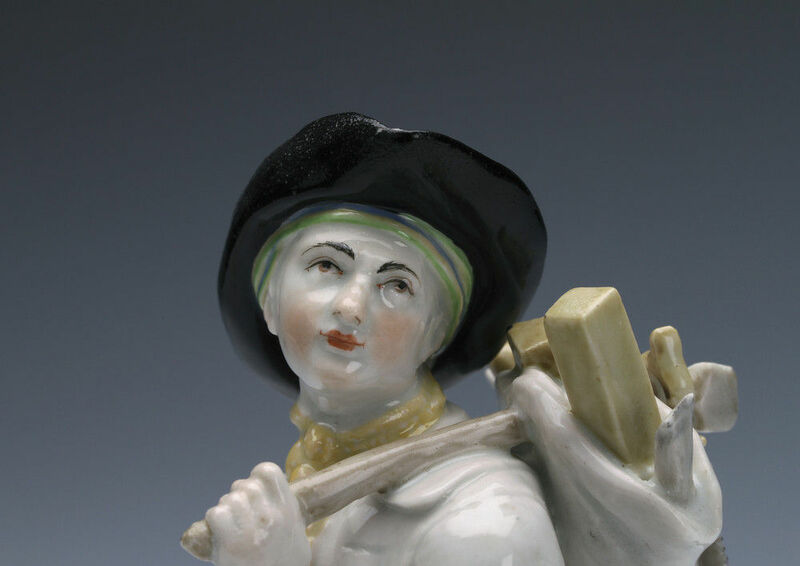 Some of Willems’ porcelain models directly copy Meissen figures by J. J. Kaendler; others such as this Carpenter are wholly original creations and are amongst some of the finest figures produced in England. 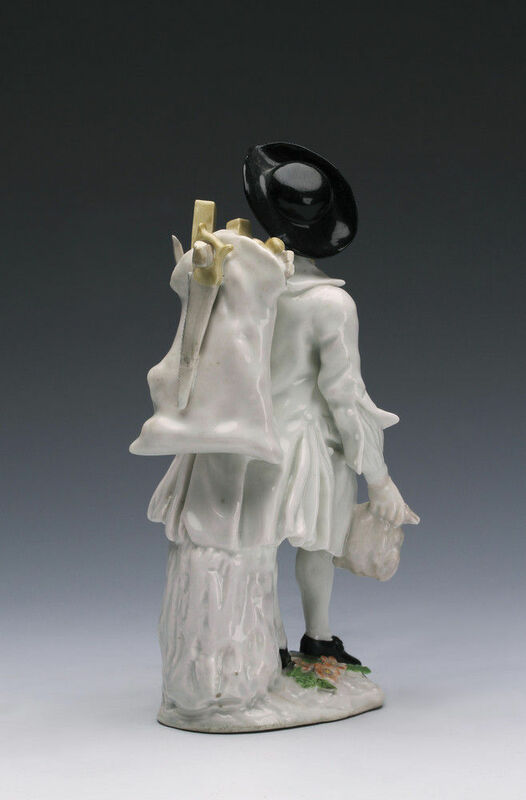 This figure is influenced by, but not copied from, the first large series of cris de Paris figures that Kaendler created in the 1740s. The restrained use of colour is typical of the early Red-anchor period. 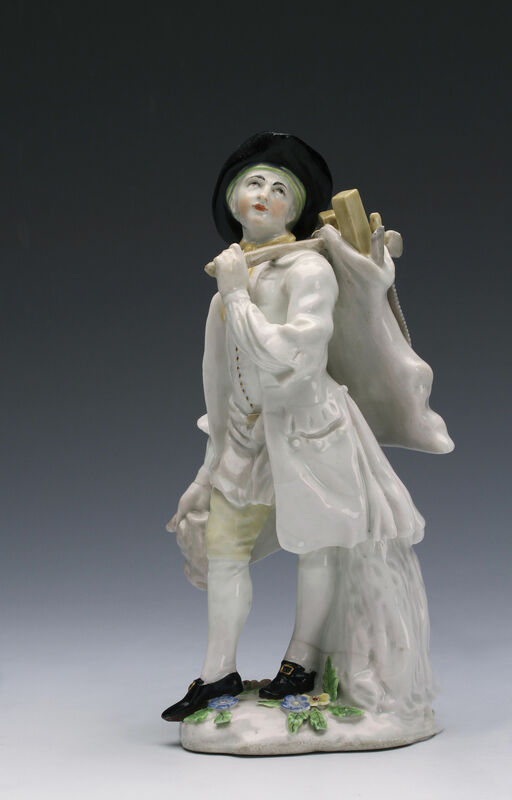 A figure of a carpenter is mentioned in the catalogue of the sale of Chelsea Porcelain sold by Mr Ford in the Haymarket in 1755 on Thursday, March 13 and again on Saturday, March 22, as “a carpenter with his tools”. Condition – Very good condition. The minor damages are: blade of axe chipped, hammer at waist lacking, original stress or firing crack to wrist, some leaves chipped on base. No restoration. Provenance – D. M. & P. Manheim, London (according to paper label on the base). Exhibitions – The Huguenot Exhibition, Boughton House, August to December 2015.